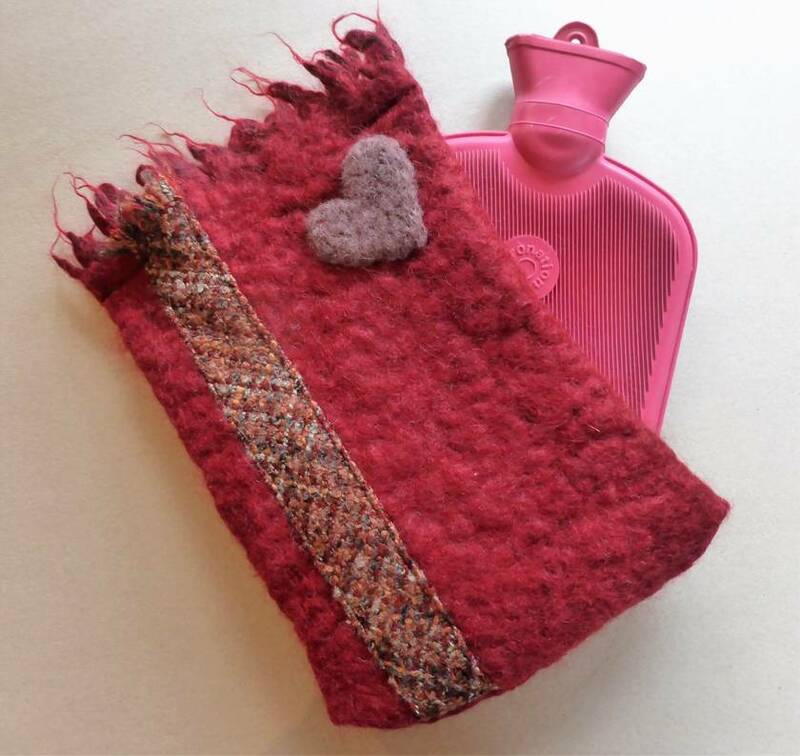 Keep warm this winter with a felted mohair hot water bottle cover. 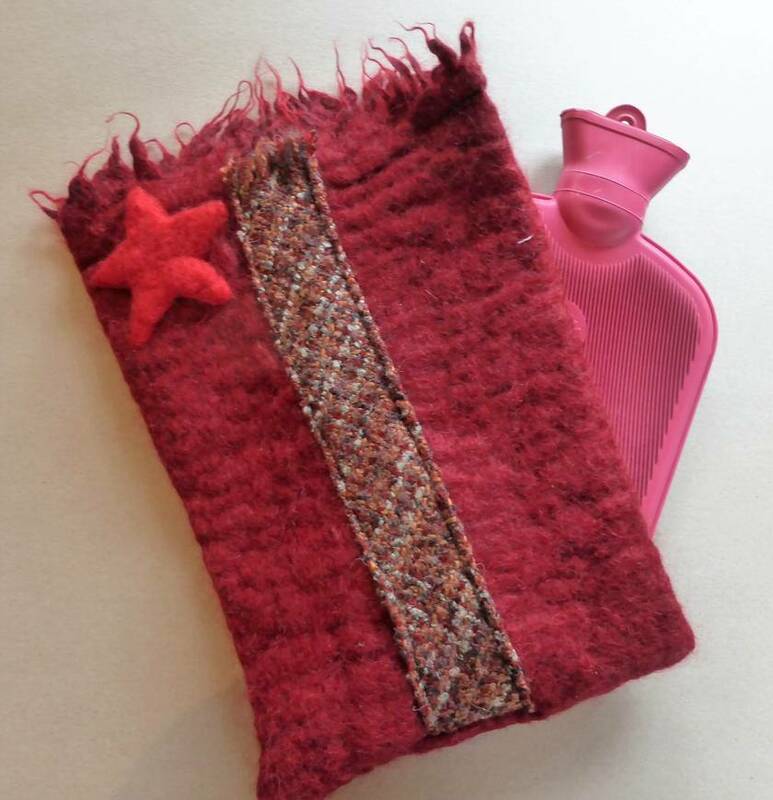 Each cover is individually created with a felted mohair base embellished with wool or cotton. Great to keep your toes warm or to ease aches and pains (including women's cramps). There are four one-off designs. These are $32 each which includes standard NZ postage. 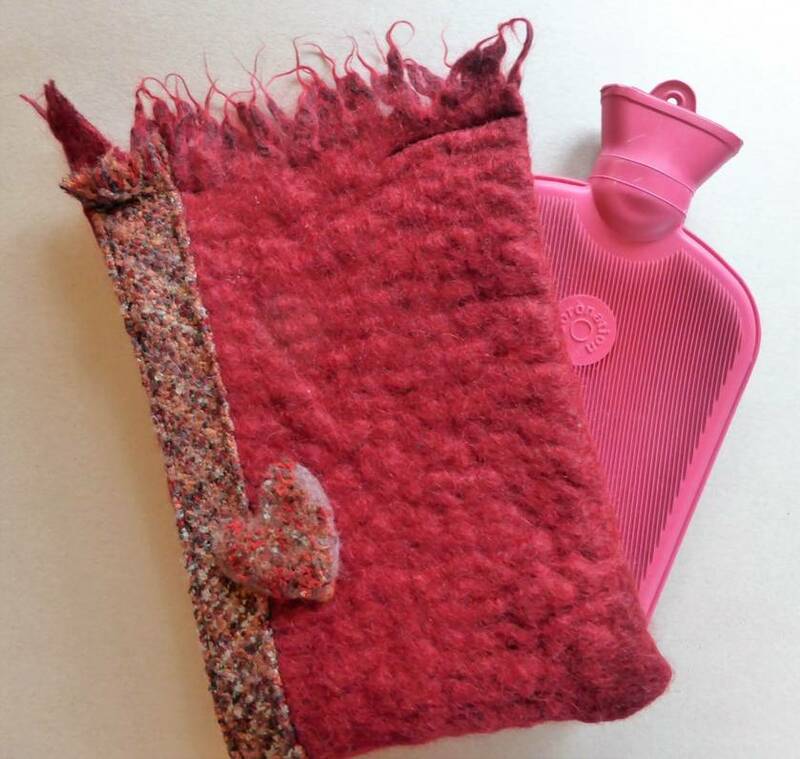 If you would like the hot water bottle included with the cover, add another $9 and send me a message. A NZ post rural delivery fee of $3.70 needs to be added for rural addresses. 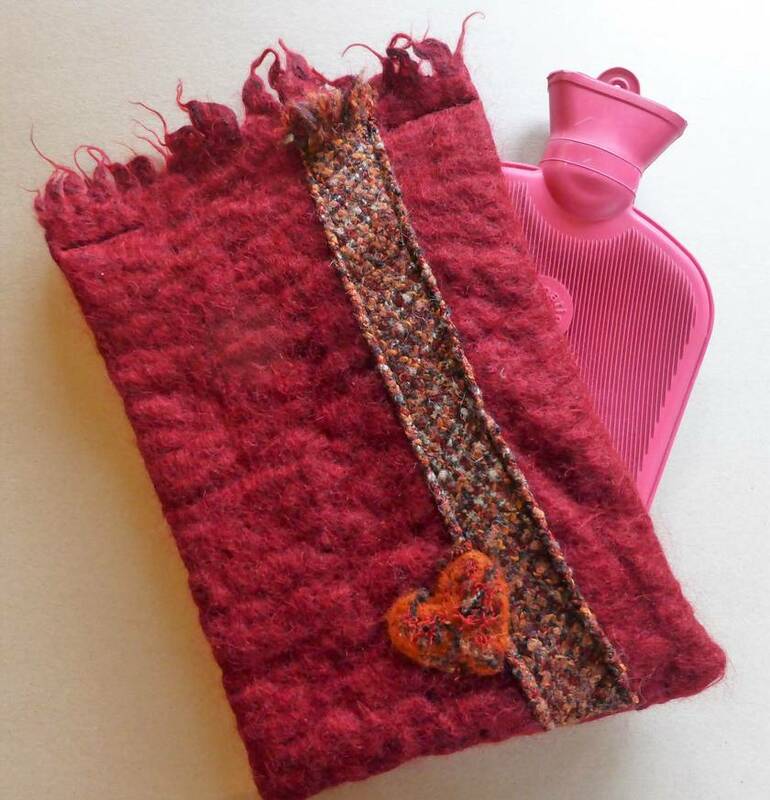 I started to make these hottie covers after a winter night in our unheated slide-on camper, now we are snuggle-warm even if it's snowing on the outside. We also snuggle up with our hotties on cold nights when watching a movie or working in the craft room - a great boon in our old home. Contact needlemade to enquire about payment or shipping options.